1010 - Tuscan Style lovers - Very elegant and array. 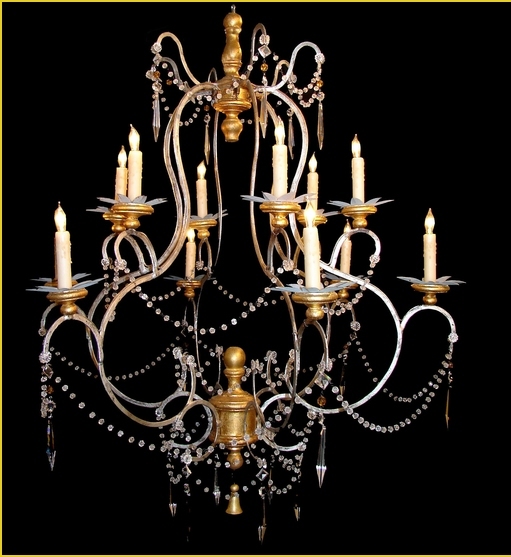 Six candelabra sockets, with a metal silver frame and gilden wooden bobesches. New wiring for U.L standards. Excellent condition.